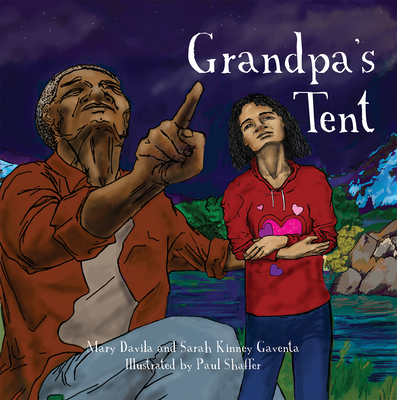 Written by two Episcopal priests--and mothers--Grandpa's Tent is a companion for children and families as they experience death, perhaps for the first time. The book explains what the Bible says about death--and life after death--and walks gently and honestly through the process of saying goodbye, attending the funeral, and grieving a loved one. The book also includes helpful talking points for adults to discuss death with children. Sarah Kinney Gaventa is an Episcopal priest. She lives in Austin, Texas, with her husband, Matthew, and son, Charlie. Paul Shaffer is a retired Episcopal priest and an artist who lives in White Bear Lake, Minnesota. Mary Davila and her husband, Chris, have two young daughters, Arri and Etta. They live in Raleigh, North Carolina, where Mary is an Episcopal priest and serves as an assistant to the rector at Christ Church.